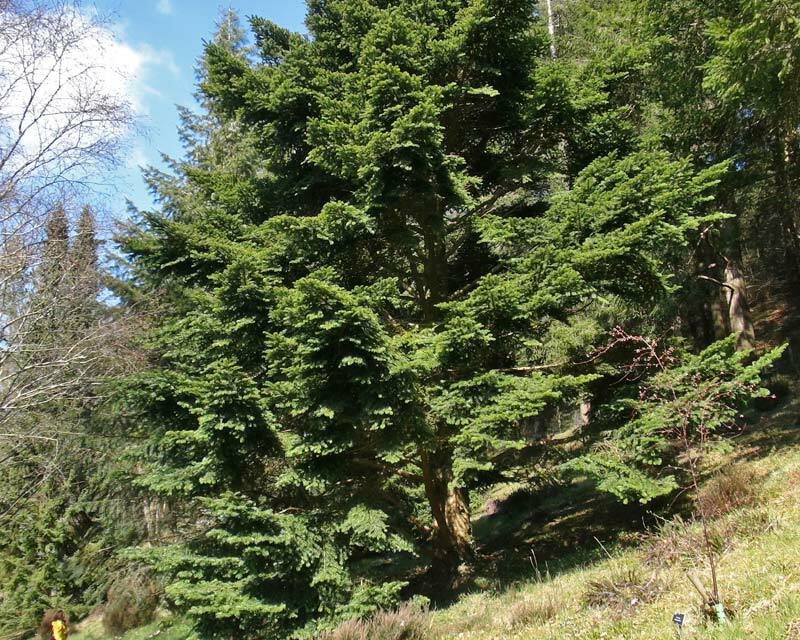 Abies firma or the Japanese Fir is a very large evergreen and aromatic coniferous tree growing to 45 metres. 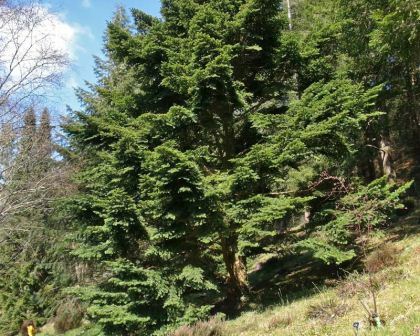 This attractive fir is densely branched with shiny deep green foliage and elongated cones that turn from green to brown as they mature. This is a very large tree so not suitable for most gardens, however they are successfully planted as ornamental trees in parklands or large estates. Although a cool climate tree, this one can manage warmer climates and humidity. Soil: Will grow in all soil types providing they are well drained, though does prefer rich soils that are slightly acidic and well drained. Chose a full sun location. Diseases: Possible attacks from bark beetles, spruce budworms, aphids, bagworms and scale. Comments: This is is the most widely naturalised fir in Japan where it is an important source of timber. Momi is the Japanese word for fir.